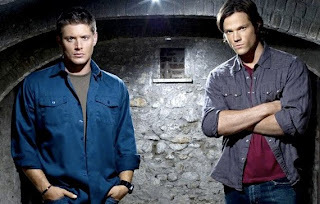 Supernatural – Renewal Likely or D.O.A.? The Winchesters have battled ghosts, demons, and even the apocalypse. But one battle they constantly have to wage is the right to return to our screens for another year. With Supernatural's sixth season in full swing, Sera Gamble has more than proven that she can handle the show with as much heart as Eric Kripke. While fans may not like everything she's thrown at us, we keep returning to watch the further adventures of our favorite brothers. And now is the time when our thoughts turn to wondering if a renewal will be on the horizon. Show predictors have mainly been favorable on the possibilities of a seventh season, with none saying outright that a seventh season is out of the cards. TVByTheNumbers and SpoilerTV have both deemed Supernatural safe from cancellation. Over at Entertainment Weekly, they're taking a more guarded approach and not putting their eggs in either basket. However, those closest to the show have good feelings about a return. Jim Beaver, who plays Bobby on the hit show, tweeted to a fan that while no official word has come down, he has no reason to doubt that a seventh season will be coming. Even the president over at the CW, Dawn Ostroff, told E! "...it's doing better on Friday night than it was on Thursday night—so I can't imagine we won't pick it up." The attention that Supernatural has been getting among fan votes has been amazing. They recently won their first TV Guide cover and won E! Online's poll for Best Show of 2010. With the amount of viewers, coupled with the expansion of the Supernatural universe into the spin-off series Ghostfacers and the upcoming Supernatural anime, it would seem unwise to kill it off. But until we get official word, fans will just have to wait and watch as the show returns to our screens on January 28th.